Mr. Saad Beg counts himself lucky that he found a campus placement with PriceWaterhouseCoopers (“PwC”). He admits that he received incredible support from faculty members at KIAMS, which made it possible to bag the job. They were there to guide him every step of the way, be it the interview stage or the video conference that sealed the deal for him. Mr. Beg started out as an Associate with the company in 2011 and hasn’t looked back since. 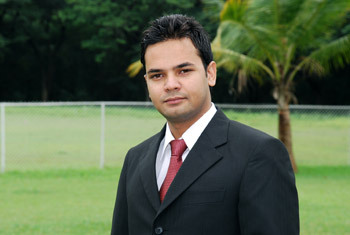 He has found his strength in Transfer Pricing, a field he specializes in. Talking about his current job profile, which has him based in the PwC office in Gurgaon, Mr. Beg says, “I work as a Transpricing consultant. The transfer pricing domain has gained impetus in the recent past especially due to globalisation of the Indian economy. A plethora of new companies are investing in India while several Indian companies are investing in subsidiaries abroad. At times like these the companies are required to price the inter group transactions, which is when transfer pricing as a domain gains importance.